Until recently, most interventional radiologists—like most of their physician colleagues—were not very interested in or concerned about the cost of providing their services. With the fee-for-service (FFS) model that has long ruled the health care industry, "interventional radiologists, in general, were in a very comfortable position from the financial standpoint," says Marcelo S. Guimaraes, MD, FSIR, division director of vascular IR and an associate professor of radiology at the Medical University of South Carolina (MUSC) in Charleston. Consistent with a charge-based, volume-driven FFS reimbursement system, the more cases they do, the more revenues they generate. However, The Patient Protection and Affordable Care Act (ACA) enacted in 2010 and other health care market reform are driving health systems to reorganize in ways that shift incentives away from high volumes of services such as imaging, interventions, and lab tests that can be threatening to physicians whose livelihoods have depended upon service volume. Government and private payers are exploring new systems of health care delivery and payment that reward coordination of care while minimizing resource use. To prepare for those coming changes, Guimaraes says interventional radiologists need to seriously focus on quality and their cost of doing business. "We interventional radiologists need to understand detailed costs per procedure so we can prove the value we add to patient care and earn our fair share in a capitated payment system era," Guimaraes says. He is not alone in this thinking. The general consensus is that if interventional radiologists don't get better at cost analysis and proving value, they will not be able to sustain their practices. The nation's health care system has been through many changes over the decades. Medicare and Medicaid were expanded in the early 1970s; the medical billing coding system and diagnosis-related groups were introduced in the 1980s. In the 1990s, managed care and capitation emerged temporarily as the preferred frameworks for care delivery and payment, says Meredith Alger, MHA, MS, health care program manager at Harvard Business School's Institute for Strategy and Competitiveness. "Managed care ultimately failed and only exacerbated the escalating cost crisis because payment was aligned with the wrong unit of analysis—the quantity of covered lives instead of the success of interventions and treatments for medical conditions," Alger says. In an effort to avoid replacing one dysfunctional system with another, Alger says the government and leading health care systems have been exploring health care delivery and payment systems that reward value, defined as achieving excellent health outcomes delivered at lower cost. "Aligning payment with high-quality outcomes that matter to patients is the only way to eliminate the drivers, such as volume and regulatory pressure, that perpetuate the cost crisis in health care," Alger says. Although this type of paradigm shift may seem impossible to accomplish, many leaders in the health care field are already implementing value-based delivery and payment models with great success, she says. The term accountable care organization (ACO) was coined in 2006, the same year as Michael Porter, PhD's book, Redefining Health Care: Creating Value-Based Competition on Results, was published. ACOs are physicians, hospitals, and other health care providers who voluntarily come together to provide coordinated, high-quality care to their Medicare patients. There are different payment models for ACOs, but the most common is capitated, where the ACO receives a set amount or lump sum for each patient, or "covered life," and it is up to practitioners to provide high-quality care for the patient that does not exceed the capitated payment. ACOs are expected to result in substantial savings by better coordinating care and reducing duplication of services, although there is still some doubt around whether the "covered life" is the correct unit of analysis for global payment, Alger says. Another reason that interventional radiologists need to pay attention to their costs where they may not have before: Medicare is expanding its Hospitals Readmission Reduction Program (HRRP) created under the ACA, says Matthew Hawkins, MD, an assistant professor of pediatric radiology at Emory University School of Medicine in Atlanta who is involved in the work of the Society of Interventional Radiology's (SIR) economics division. When HRRP started in 2012, it applied financial penalties to health systems that readmitted patients within 30 days for treatment of specific conditions: heart attack, heart failure, pneumonia, hip/knee replacement, and COPD. "Now CMS [The Centers for Medicare & Medicaid Services] is tracking 30-day readmission rates for procedures as well," Hawkins says. It's not uncommon for IR practices to be among the top referrers of hospital admissions. "As we continue to treat more patients and admit them overnight, whether for an oncology procedure or uterine artery embolization, if the procedures we do lead to readmissions, it could reduce reimbursements to our hospitals and affect our bottom line," Hawkins says. 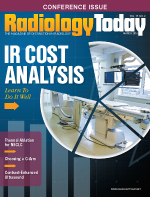 To better educate interventional radiologists about the costs of their procedures, some departments have begun to employ a method popular in other businesses and management circles known as time-driven activity-based costing (TDABC). Porter and colleague Robert S. Kaplan, PhD, at Harvard Business School are frequently credited for bringing TDABC to health care. Currently, Medicare and insurance companies determine what they will reimburse a physician for a procedure based on its CPT code and the relative value unit (RVU) assigned to that code by a panel of experts. RVUs take into account the physician's time, skill, and training needed to perform the procedure, as well as the cost to practice (staff, rent, equipment, supplies, etc), the cost of doing business in different locations, and the cost of malpractice insurance for the specialty. "Creating RVUs is a rigorous, time-tested process stewarded by the American Medical Association's Relative Value Scale Update Committee, but after its recommendations are submitted to CMS for approval, the final RVU value for physician services can be somewhat arbitrarily decided," says Ammar Sarwar, MD, a vascular and interventional radiologist at Beth Israel Deaconess Medical Center in Boston. CMS sets the conversion factor that converts RVUs to a dollar payment. Sarwar is involved in SIR's economics division and is also the lead author of "Metrics for Radiologists in the Era of Value-Based Health Care Delivery," which was published in the May-June 2015 issue of Radiographics. Alger's colleague Giles Boland, MD, coauthored the article, which is based on TDABC and Porter's value equation. Instead of dividing down overall organizational expenses and backing into a figure that represents the "cost" of delivering care through the ratio of costs to charges (RCC) method, TDABC measures the actual cost of delivering care to a patient with a given medical condition from the bottom up. "It accounts for all resources that go into caring for a patient, [including] personnel, equipment, facility, and indirect/support costs, and directly attributes, not allocates, the true cost of those resources to the organization's output of patient-care services," Alger says, noting that TDABC is significantly more transparent than current methods of costing, "and allows you to correctly estimate the cost of providing services to patients," she says. TDABC is the gold standard of most industries, Sarwar says. "What that means is they truly understand costs. They know if I create one unit of a product, what percentage of my manpower, what percentage of my fixed costs such as machines, what percentage of my transportation costs, etc, goes into each unit. I can take this information, add what I want as my profit margin, and determine the price I should charge my customer," he says. IR departments at some health care systems such as Stanford and the University of Chicago have begun mapping their costs using TDABC and coming up with numbers for different procedures that they perform. Armed with these data, they can have an informed discussion with payers regarding pricing, Sarwar says. In one study she did, Alger says, the researchers found from doing a TDABC that they could carry out an IR procedure for one-half of what it currently costs according to conventional health care accounting. The result of this type of analysis does not always yield lower TDABC cost estimates compared with RCC charges, she says. Sometimes the cost estimates are much higher. "Either way, identifying true costs is always a good thing," Alger says. Like many institutions, Guimaraes' employer, MUSC, is going to become an ACO. That was one of the impetuses for his IR division to undertake a TDABC analysis to determine its fixed costs when doing procedures, he says. "We are not living under the capitated system yet," Guimaraes says, "so I can't tell you our experience. But it's coming, probably over the next six months. As we cannot predict the future, at least we want to be prepared for it." Before the IR department did a TDABC analysis of its procedures, it underwent a quality improvement program using Lean Six Sigma. It evaluated every step of every procedure starting with when patients register. It followed the patients through the procedure and until they were discharged to a hospital room or home. "Going through this improvement process, we were able to streamline our operation," Guimaraes says. "We reduced waste. We reduced duplication. Now we're to the point where we are working as a well-oiled engine," he says. Guimaraes recommends that any department interested in determining its true costs of operation start with a process improvement program. His department does 52 interventional procedures. While it started its cost analysis with those it performs most frequently, its goal is to have the TDABC accounting methodology apply to all of its procedures. There is some overlap when looking at the different procedures. For example, the cost of some of the steps involved in the different procedures, such as registering a patient and having the nurse to provide an IV access, is the same or similar and doesn't have to be recalculated for each, Guimaraes notes. Sarwar says knowing the true costs of procedures also can help interventional radiologists determine what equipment and supplies they should use to perform them if they have a choice. For example, he says, "We have submitted a paper in variceal embolization, and others have done similar papers on arterial embolization comparing embolization using coils or vascular plugs. In general, vascular plugs are easier to use but cost more. Coils take more time. The question becomes, does the material cost of the plug pay for the reduced procedure time that may be related to its deployment? If you are able to get out of the room faster because you are using plugs, does that make up for the cost difference?" Interventional radiologists could look at the hard numbers from the TDABC analysis of both and base the decision on them, all else being equal for that particular procedure, Sarwar says. Hawkins gives a similar example with vein ablation procedures. Vein ablations can be done with chemicals, lasers, or radiofrequency probes. Vendors are combining two or more of these technologies. "The problem is the new technologies are more expensive and therefore increase the cost of the procedure. Unless you're able to do more of these procedures in a shorter amount of time, it can become almost impossible to recoup the money the facility or hospital might be making on them," Hawkins says. In this era of cost containment, Hawkins says, it is incumbent upon interventional radiologists to consider the cost of newer technology when the outcomes are similar and not rush to embrace it just because it's new. Having accurate estimation of the cost of delivering services to patients around medical conditions will be extremely important to interventional radiologists when the government and other payers begin pushing bundles down the line, Alger says. "They've already started, and it's only going to continue." If interventionalists are able to clearly redefine their proposition to provide high-quality care to patients, beginning with correctly estimating true cost of their services, they will position themselves to thrive in the new era of health care delivery, Alger says. Because of the efficiency and costing work his department has done at MUSC, Guimaraes is confident that when payers come to him wanting to decrease reimbursements, he can respond: "Our operations are very efficient. We understand in detail our global costs per procedure," Guimaraes says. "After adding a profit margin, we know the minimum we need to get paid in order to keep the doors open." He says this information will be very relevant during the discussions he anticipates with the health care payers and with the hospital administration. The patient care cycle may involve multiple specialties. The TDABC accounting methodology puts the IR division at MUSC in a better position to discuss with the administration how and how much money should be allocated to it throughout the patient care cycle, he says. Cost accounting or cost analysis has not been a key concern for most interventional radiologists and now it must be, Sarwar says. "I think the profession has definitely changed in that way," he says. "But I don't think the change is specific to IR. It's across the board for all physicians. All physicians have started to become more cognizant of the cost of the care they provide." Because IR is a small specialty, it hasn't been at the forefront of the movement in health care to understand and contain costs, he says. "We're rushing to catch up." If it does, Sarwar says, IR will not only survive but also thrive because many of its procedures are minimally invasive, meaning shorter hospital stays and fewer complications. Guimaraes agrees: "Understanding the operation costs and proving high-value medical care are key elements to keeping the specialty competitive." — Beth W. Orenstein is a freelance medical writer living in Northampton, Pennsylvania. She is a regular contributor to Radiology Today.